'Valhalla' is a Norse word referring to a warrior's heaven, and heaven is an apt word for this magnificent wilderness. The 49,600 ha (120,000 acre) Valhalla Park encompasses most of the Valhalla range of the Selkirk Mountains in southeastern BC. The park was created as a representative Selkirk Mountain ecosystem. It features massive granite mountains and huge sheer cliffs. The park takes in 30 km (19 mi) of the western shoreline of beautiful Slocan Lake, and supports dense forests of red cedar and western hemlock. With 80 km (50 mi) of hiking trails, a chain of subalpine lakes for canoeing and kayaking, beautiful waterfalls, roaring rivers, and abundant wildlife, this area is a favorite playground for locals and visitors alike. Much of this mountain area, particularly Mulvey Basin, provides internationally known mountain climbing terrain. As well as Valhalla's spectacular scenery, the park also provides important habitat for grizzly bears and mountain goats. "Heaven is an apt word for this magnificent wilderness." 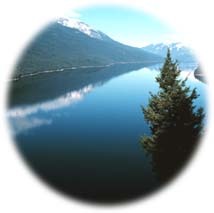 Valhalla Park is located on the west shore of Slocan Lake, and can be accessed by boat, logging roads, or trails. The nearest highway, Highway 6, leads to the closest towns to the park: Slocan City, Silverton, and New Denver. All of these towns have public boat launches and commercial water taxis' available to take visitors across the lake to Valhalla's trails and beaches. The wilderness of Valhalla Provincial Park displays a diversity of terrains, ecosystems, and habitats. The three main ecosystem types in the park are interior cedar and hemlock, Engelmann spruce and subalpine fir, and alpine tundra. Each of these ecosystems thrives under different climatic influences. Altitude, rainfall, and temperature are among the dominant factors determining where certain plants will grow. This variety in flora supports an equally diverse abundance of fauna. Besides being home to major populations of mountain goats and grizzly bears, the area also provides habitat for mountain caribou, black bears, mule and white tail deer, cougar, marmots, golden eagles and alpine ptarmigan. Many of the park's lakes have been stocked for fishing. Fishers must have an appropriate license to fish anywhere in BC. "This stunning park owes its preservation to local residents who worked extremely hard for many years to protect the land that they loved." The combination of wild lakeshore, rugged mountains, and dense forests that make up Valhalla Park provide abundant opportunities for canoeing, hiking, climbing, fishing, camping, and crosscountry skiing. Many visitors choose to explore the park by completing a canoe tour of the 20 secluded beaches along Slocan Lake. This makes for a relaxing vacation but be aware that strong winds can come up with little notice on Slocan Lake. Recreation in Valhalla extends far beyond the lake shore, along many trails into the lush valleys and dramatic mountains of the park. Information on the multitude of trails, and a detailed hiking map, are available from the local Valhalla Wilderness Society. For short descriptions of a few of the most popular trails in Valhalla Provincial Park click here. Camping is only permitted at designated sites near main trails or on Slocan Lake beaches. Two cabins, Evans Lake Cabin and Cove Creek Cabin, provide accommodation for a maximum of four persons each. Rustic facilities in Valhalla Provincial Park include wilderness campsites, 7 overnight shelters, and pit toilets. Many of the park's lakes have been stocked with fish for the benefit of anglers. "With 80 km (50 mi) of hiking trails, a chain of subalpine lakes for canoeing and kayaking, beautiful waterfalls, roaring rivers, and abundant wildlife, this area is a favorite playground for locals and visitors alike." Pictographs on the rocks overlooking Slocan Lake are evidence of the presence First Nations groups in the area. These early inhabitants were the only residents of the area until, during the 1850s, prospectors and surveyors came, starting the local mining boom. In some places, their overgrown trails and logging flumes can still be found in the park. The battle to preserve Valhalla was a long one. 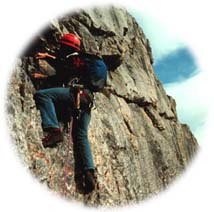 Valhalla was first proposed for protection in the 1970s, by local conservationists motivated by the success of the Purcell Wilderness Conservancy campaign. The BC Forest Service was very resistant to the concept of preservation though, fearing the loss of the area's richly forested valleys. It was only after a very persistent citizen effort by Slocan Valley residents led by the Valhalla Wilderness Society, along with support from other environmentalists, that on March 13, 1983 the BC provincial government acted to protect Valhalla. This stunning park owes its preservation to these local residents who worked extremely hard for many years to protect the land that they loved. As a result visitors from all over the world will be able to experience the splendor of Valhalla for themselves, for all time.